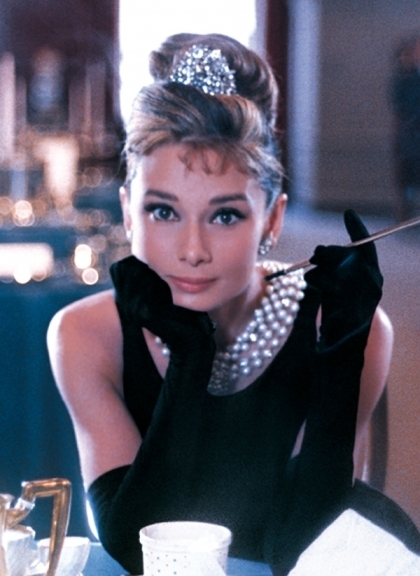 Who doesn't love the movie Breakfast at Tiffany's? It's a classic, right? Audrey Hepburn and George Peppard are totally cute in that movie. My friend also loves this film so I was trying to find a way to incorporate that into her birthday cake. 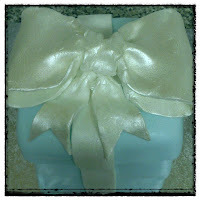 At first I was looking into Audrey cake or cupcake toppers but decided to go with a simpler approach and have the cake look like a box from Tiffany's instead. Once you have your cake(s) baked leave them to cool completely then trim them into the shape you want (I did square). Frost the cake on the top and sides, and in between layers if applilcable. My cake was four cakes high, I just really wanted some height to it. Next, roll out your duck egg blue fondant, then cover your cake, trim and smooth. 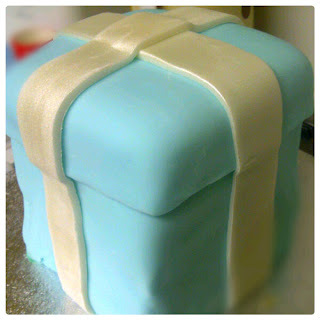 Roll out more of the blue and add another layer to the top to form a lid for your box. Use a scapel to get a good sharp edge on the lid. 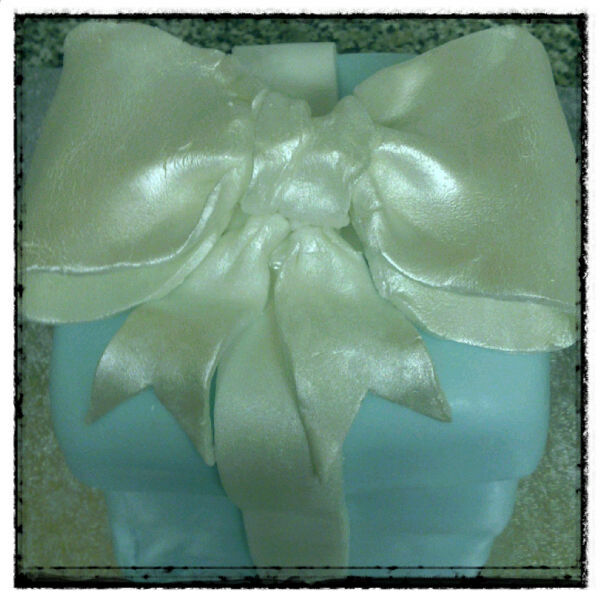 Roll out your white fondant and cut out your ribbon for the box. 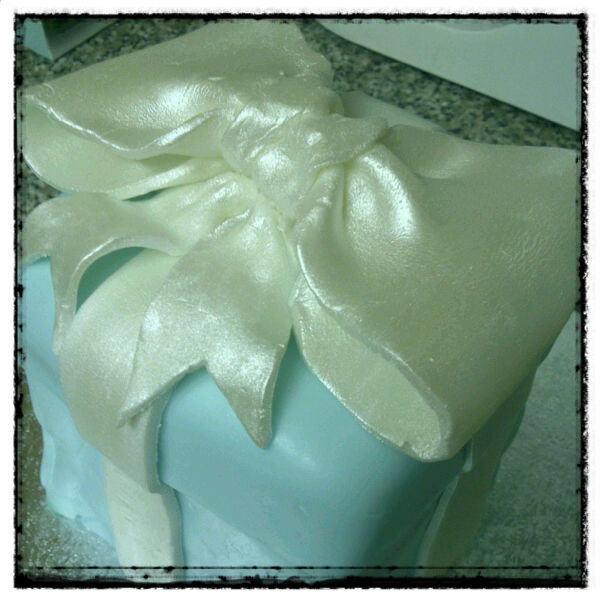 This is where I used the lustre spray to add a satin ribbon effect to the fondant. Allow to dry before lifting the ribbon otherwise you'll get fingerprints in the lustre and also your fingers will look like you've manhandled Tinkerbell. You can leave the cake like this, it looks pretty. 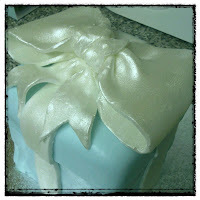 Your can also go a step further and make a bow out of fondant (and lustre spray) to top the cake. I had no clue how to do this so I took to Youtube to find a video to learn how.